Welcome to 330 Red Cedar Street! 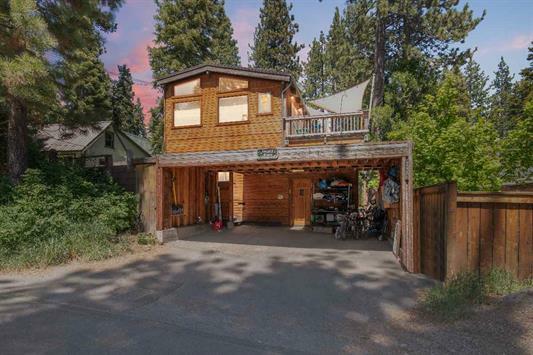 This four-plex, high-income generating property is located in the heart of downtown Tahoe City in a great neighborhood. Property generates approximately $5,000/monthly and has had zero vacancies over the past 5 years. Four units comprise this multi-family home with all-new windows, roof, and updated bathrooms throughout. Each unit has had specific upgrades. There are two units upstairs and two lower units. The largest upper unit is 1.5 bed, 1 bath with wonderful lighting, high wooded-beam ceilings, skylight, large windows and a spacious updated deck with peaks of the mountains. The second upper unit is light and airy with 1 bed, 1 bath including an added skylight and sunny balcony. The lower units are cozy with both having 1 bed and 1 bath. One unit has french doors to a private outdoor living area to relax and read a book. All units have separate entries and each unit has a private outdoor deck area. The property may be accessed from 330 Red Cedar Street and on Jackpine Street. Together, there is covered parking for 4 cars and covered storage. Easy walking distance to restaurants, shopping, supermarket, the Lake Tahoe shoreline, Tahoe City Marina, Commons Beach, paved bike and walking paths, nearby hiking trails, and golf course but with the convenience of feeling off the main grid.